Tomorrow is September 1st which pretty much means that Summer is now over. I've gotta admit I'm kinda looking forward to Autumn. 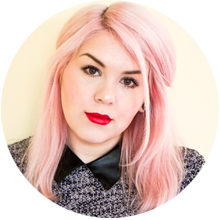 I've already started to reorganise my wardrobe for the coming seasons & can't wait to start layering up again. 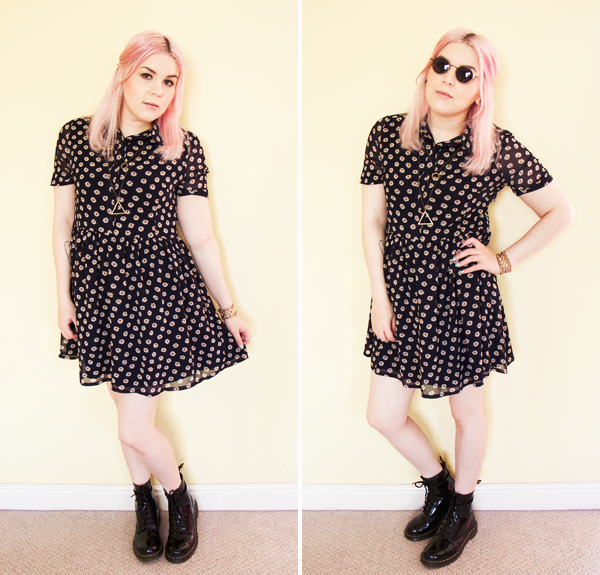 I think that this adorable Heidi smock shirt dress from Poppy Lux is a brilliant transitional piece. 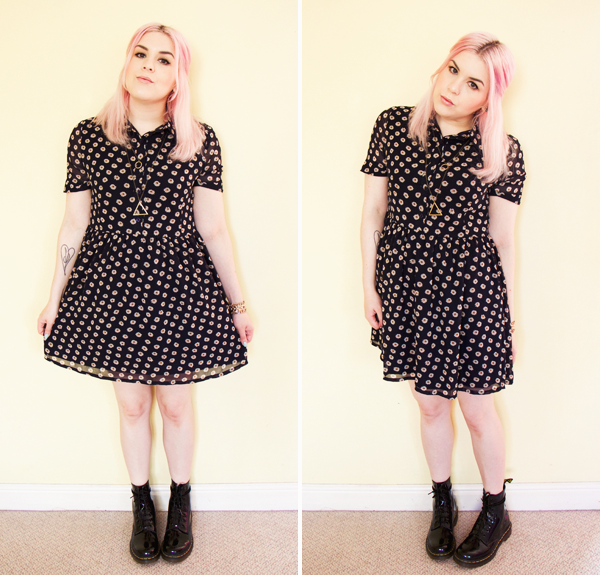 Smock dresses are my fave at the minute as the shape hides a multitude of sins. This one has nice fit to it but I forgot that smock dresses are always oversized when I ordered it so it's a bit big on me. I don't mind though as it's very comfy & casual. I adore the ditsy floral print on it too. I tried to make it look a bit grungier to fit in with the current 90s fashion trend. I've always been inspired by the way that Courtney Love would wear clunky black boots with cute dresses. I'm still very much in love with my patent Dr Martens. I got them when I visited New York where they were on sale for just $50! 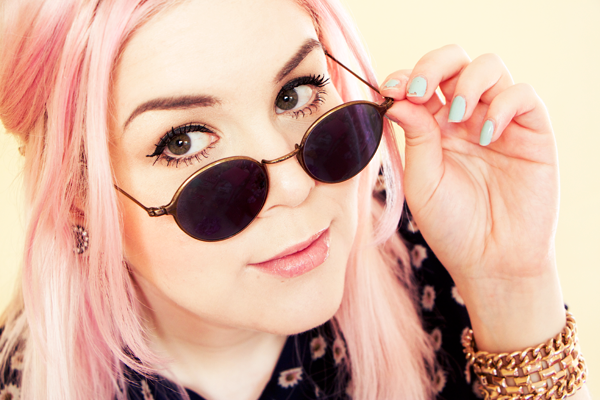 I was recently sent a pair of London Retro sunglasses from Glasses Direct. 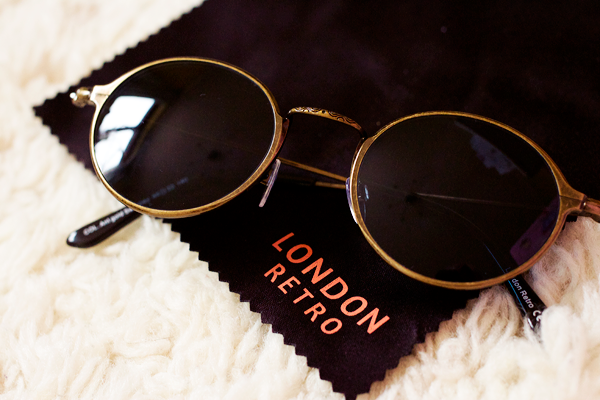 These are the antique gold Sweeney frames. I love their round Lennonesque style, they're so very 90s. I thought they would go well with my grunge inspired outfit. 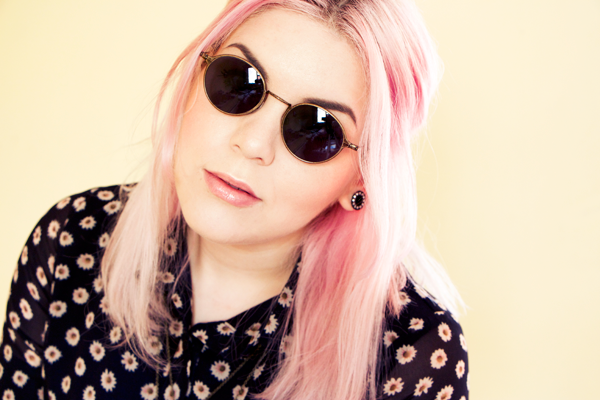 Are you a fan of 90s fashion? My favourite piece of this outfit are your shoes, love them! I think I need a dress like this in my life! I also look forward to autumn even though it means returning to work. You look lovely.